How to Celebrate Rakhi in the Most Traditional Way? 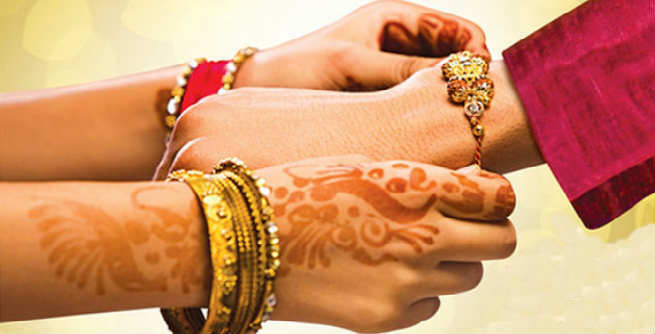 ‘Rakhi’ or ‘Raksha Bandhan’ is one of the most widely celebrated Indian festivals. It is commemorated in the Shravan Masa on a specific full moon day or ‘Purnima’ and is given different names in different parts of the country, such as ‘Rakhi Purnima’ (north, north-west), ‘Kajari Purnima’ (Uttar Pradesh, Madhya Pradesh, Chhatisgarh), ‘Nariyal Purnima’ (Gujarat, Maharashtra, Karnataka, Goa), ‘Upakarman’ or ‘Avani Avittam’ (Andhra Pradesh, Tamil Nadu, Kerala) and ‘Pavitropana’ (certain sections in Gujarat). 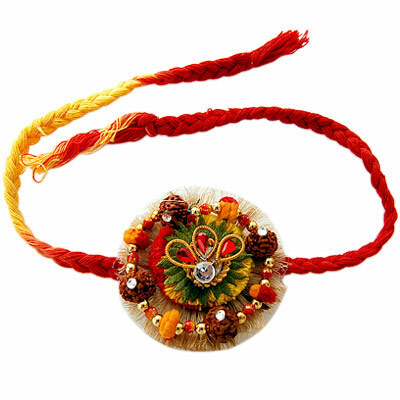 Rakhi is celebrated to rejoice the fraternity of brother and sister. It signifies the wholehearted love and care of the sister for her brother and the vows of the brother to provide protection to his sister from all sorts of difficulties. However, the preparations of the function start almost 2 weeks before the day. Shops begin to offer colorful rakhis, special sweets and exclusive gifts at discounted prices, while brothers and sisters living at distances start planning for celebrating the actual day with much delight and enthusiasm. On the auspicious day of Rakhi, the sister has her bath early in the morning and gets ready for the rituals by putting on new clothes. At first, the family deities are worshipped. For this, she prepares the ‘puja thali’ by arranging the beautiful ‘rakhi’ thread, ‘roli’ or kumkum powder (saffron / turmeric powder), ‘akshat’ (rice grains), ‘diya’ (metal or earthen lamps), ‘agarbattis’ (insence sticks), variety of sweets and money on the plate nicely. 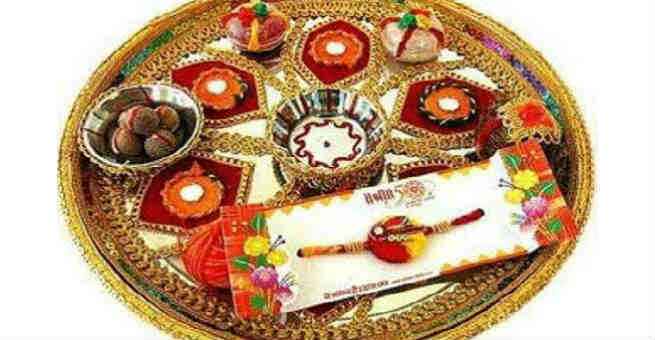 The holy thread of rakhi is also worshipped during this time. Meanwhile, the brother is seated at a clean and calm place. After making the offerings to the God, the sister memorizes her ancestors and takes the blessings of the elderly members of the family. After that, she comes to her sibling with the ‘thali’ and performs his ‘aarti’. She then ties the pretty and holy thread of rakhi on the wrist of her brother’s right hand. The ‘tilak’ is made on his forehead with the kumkum powder. The rice grains are dispersed on his head. The money is given out among the poor after moving around his head, which is considered as a ritual for safeguarding him from the evil eye. Finally, she offers sweets to his lovable brother. There is a certain ‘mantra’ (“the protection thread which was used to tie the mighty demon, Bali, i am tying you the same protection thread, this thread will keep you safe”), which is chanted by the sister while tying ‘rakhi’ on the hand of her brother. It is recited as a prayer for the well-being and long life of the brother and hence, is regarded as auspicious. On this joyous occasion, sisters prepare delicious dishes for their brothers. Some Rakhi special foods are ghewar, halwa, kheer, shakarpare, puri, ghugni, namakpare, and so on. Both the brother and the sister buy gifts for each other, which are considered as tokens of love and warmth. However, make sure that you do not tie rakhi during the time of ‘Bhadra’ as it is known to be the ‘inauspicious time’. So, celebrate the Rakhi in the most traditional way and enjoy the day to the fullest!